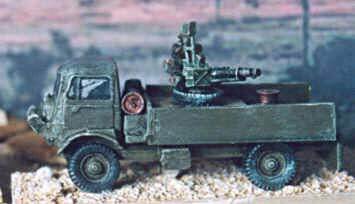 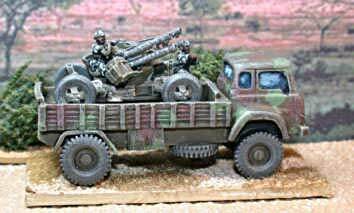 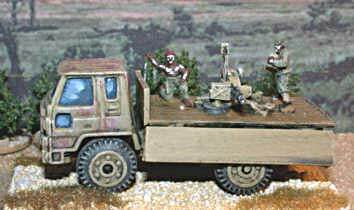 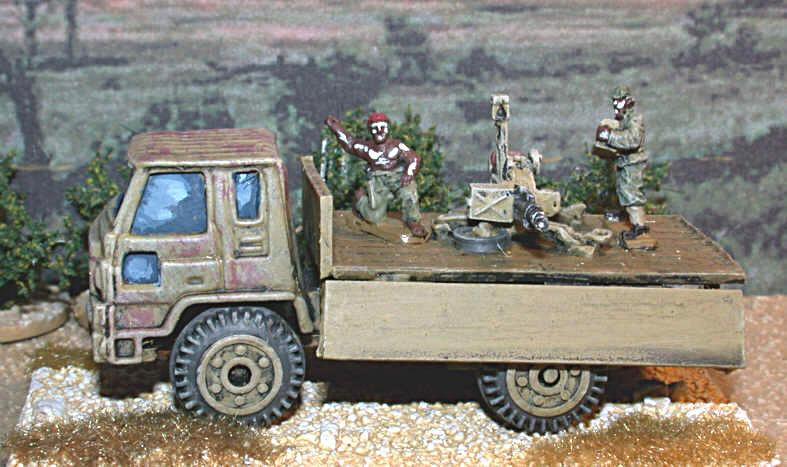 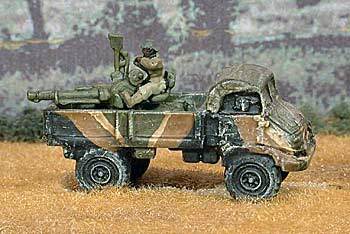 Peter Pig, ZPU 4, four barrelled AA gun (17-51) mounted on a converted toy truck. 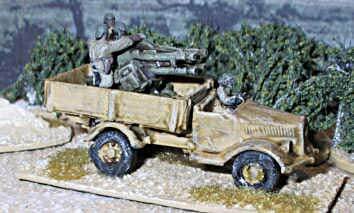 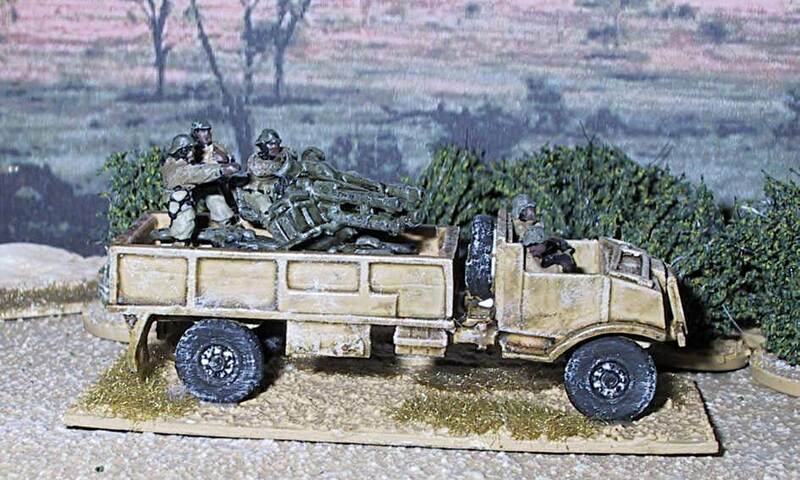 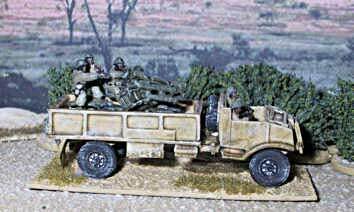 Unknown truck mounting a ZPU1 single barrelled AA gun from Peter Pig, (17-53). 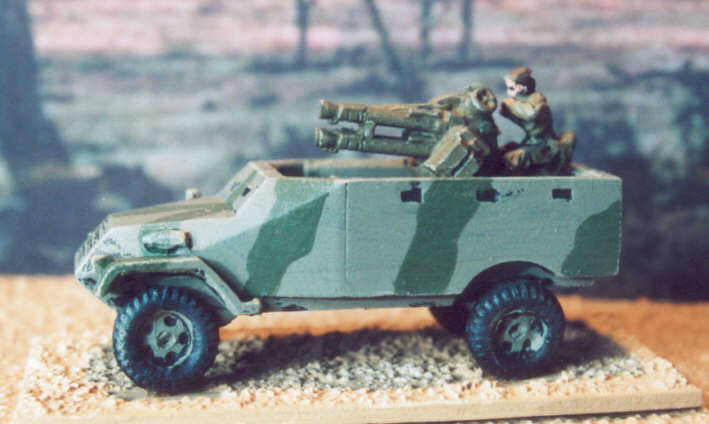 A QRF BTR-40 (pack PSP1) with a PP ZPU 4, four barrelled AA gun (!7-51).